If I were Queen for a day, I would pass some quick laws! I would make Monday Ladies’ Day. Women would get priority for seating, queues and right of way on the road! 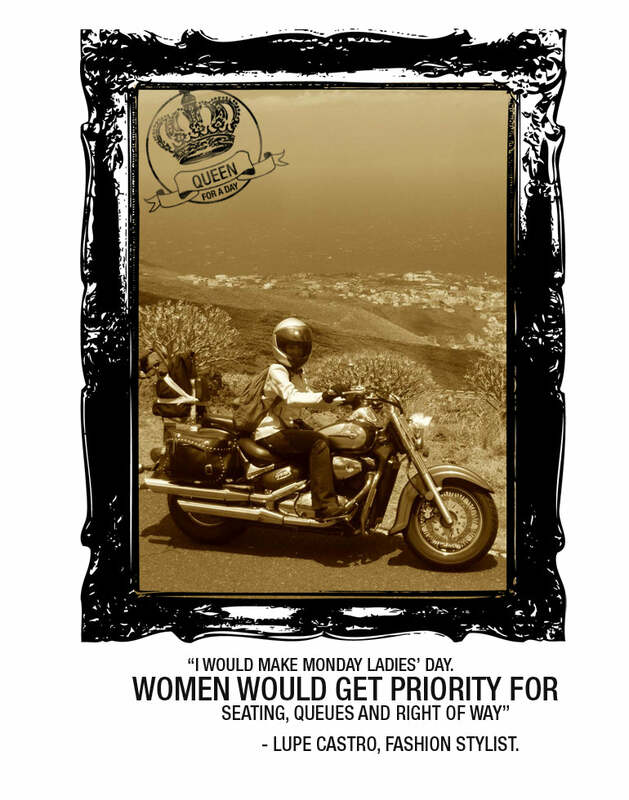 I would load Monday with special treats like smiling traffic wardens; loving partners, boyfriends, husbands and free customised Donna Ida jeans for lady motorbikers. Monday would eventually end up being so much better then Friday that the whole week would take on a new and completely exciting perspective! Follow Lupe on Twitter @MsCastroRides and her blog www.mscastroonamotorbike.com.